Here’s a must-have book for all food lovers. 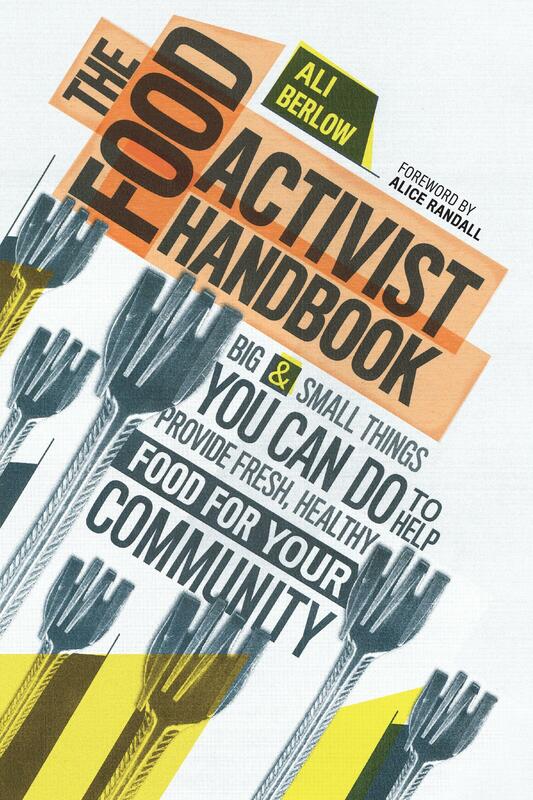 The Food Activist Handbook by Ali Berlow is not a cookbook, but it’s guaranteed to satisfy another kind of appetite: our hunger to make a difference. Some of the ideas will be familiar: Contribute to a food pantry, plant a school garden, join a food co-op. But there are plenty of fun and unusual suggestions, too: Have a cow parade, host a food-themed poetry slam, hold a food swap (this is already happening monthly in Charlotte at Snug Harbor in Plaza Midwood). The author explains that the book itself is a “glean” – its materials have been gathered from activists working everywhere from grassroots to policy-making levels of change. The information is presented in an easy-to-use format, and invites readers to thumb through its pages to sample the tips, ideas, suggestions and success stories. Banners at the top of project pages proclaim cheerily “You Can Do This,” as they offer step-by-step instructions. Other sections are helpfully labeled “Advice From,” “What’s Going On,” and “Lessons Learned,” for easy navigation. Farmers, beekeepers, preachers and teachers share their wisdom. Want to restrict food and beverage advertising in schools? The book shows you how. Shop smarter? A map of a typical grocery store will help you “eat from the edges.” Interested in learning how to “green” your city spaces? If Detroit can do it, so can you. Are you sick of pickles? After a season slammed with cucumbers, your friends at WFAEats were ready to say goodbye to that summer staple. Once again, Mecklenburg County Cooperative Extension Service came to the rescue with this fun and simple recipe for Garden Cucumber Chips – using nothing more than a home dehydrator and a handful of readily available spices. This year, I finally bought a CSA share. Community Supported Agriculture (CSA) is a way for consumers to connect with and support local farmers while reaping the benefits of wholesome local meats and vegetables. You pay a lump sum, usually a few hundred dollars, at the beginning of the season for a “share” of meat or vegetables, or a combination of both. Then, each week your farmer puts your share together in a box for pick up.